The Society is seeking an innovative dynamic individual, self motivated with strong leadership skills to fill the position of Executive Director (ED). The responsibilities of this position include: furthering the Society’s mission, goals and objectives; fundraising; and organizing and coordinating the FNPS annual conference. Applications will be accepted by the Society’s Vice President for Administration, via email to: vpadmin@fnps.org. Submit your resume and cover letter of no more than 7 total pages no later than October 5, 2011. Position starts January 2012. Eat Clean, Green, and Sustainably! This past May during the FNPS state conference, I went on the very interesting and informative native yards tour around Orange County. 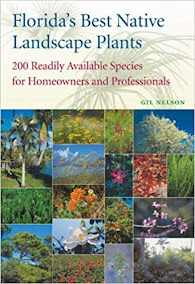 One of the things I noticed then and at other native yards is that owners of native yards are also very interested in growing herb and vegetable gardens. We grow native plants in our yards to preserve our natural communities and wildlife without the use of pesticides, and we grow vegetable gardens to feed ourselves healthy food, also free of pesticides. 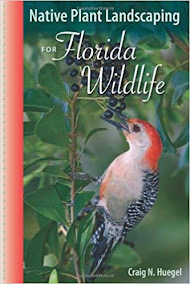 It was my interest in both native and edible plants that led me to start my native and edible plant nursery Naturewise, and partner with other local farmers to create our farm and garden co-op, The Green Marketplace, located in Cocoa, FL. Florida native, sunshine mimosa (Mimosa strigillosa), which is a legume and vining groundcover, makes a great lawn alternative. 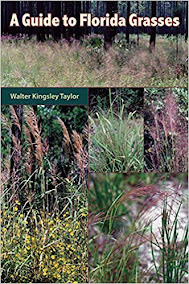 While it does take a while to get it started, it will grow in lousy soil and stays low enough so it can be mowed several times per year to keep the other plants cut back while it's growing in. 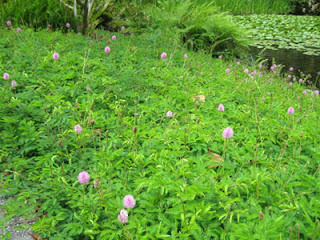 After it's established an annual mowing is all that is needed. Mimosa takes moderate foot traffic and it lives up to its other common name, the sensitive plant, because the leaves fold up when touched. Members of the bean family, the legumes, have the ability to work with Rhizobium bateria in their roots to capture nitrogren from the air and turn it into useable fertilizer for the plants. In soil where other legumes such as clover the bacteria will already be in the soil, but if you plant it on a sterile subsoil, it will take several months to a year before nitrogen-fixing root nodules will form. 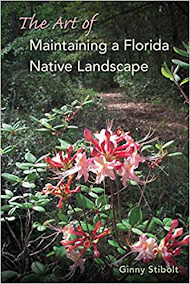 Richard Stauffer and Julie Wert, who live just south of the Hernando-Pasco line in Aripeka, won the Florida Native Plant Society’s second-place award for amateur residential landscaping at the 2011 annual conference in May. 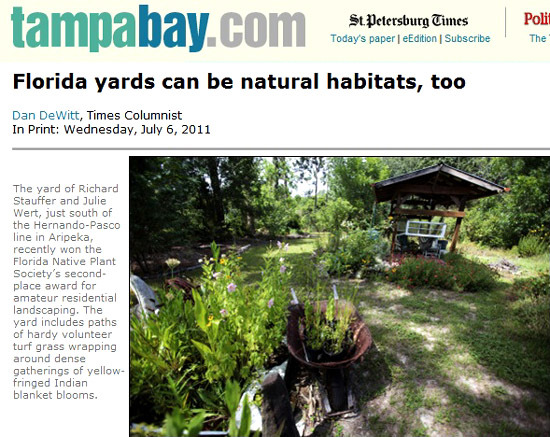 Julie Wert states, "This article was in the St. Petersburg Times recently about our yard. The columnist, Dan Dewitt, was concerned that the Hernando County Commission had allowed twice a week watering rules again. He heard about our award from FNPS and came out to use it as contrast to typical suburban yards. 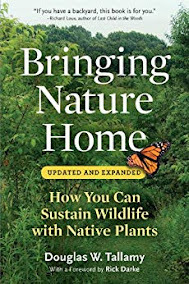 I sent him home with a copy of Doug Tallamy’s article in American Forester and “Bringing Nature Home”. I just heard the article was picked up by newspapers in Indiana and South Carolina." ﻿ From the article: "Their yard, 1½ acres of coastal uplands just south of the Hernando-Pasco line in Aripeka, recently won the society's second-place award for amateur residential landscaping. Letter outlining the official position of the Florida Native Plant Society regarding the development of campgrounds in state parks. 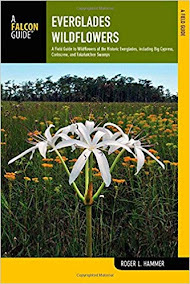 The Florida Native Plant Society (Society) was pleased by the recent decision to forgo development of a family campground at Honeymoon Island State Park. Although camping is a compatible recreational activity in many of our State Parks and provides an outstanding way for the public to enjoy these special lands, any decisions about the expansion of public uses or development of additional facilities must be carefully weighed against the potential for such uses or development to degrade the natural resources the State Parks are mandated to protect. The FNPS Board of Directors meetings are anything but boring! As the Committee chairs, chapter representatives and elected officials from all over the state converge in one small space - and any space is small when this group gets together! 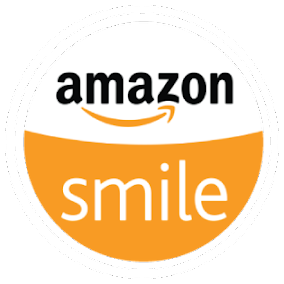 - the air is absolutely electrified with ideas, news, reports, and passionate speeches on an astonishing variety of topics. Saturday's meeting at the beautiful public library in downtown Orlando was no exception. This blog post is no way meant to take the place of minutes, which, by the way, are accessible to the whole wide world onour website. Peg Lindsay, a recent guest blogger here, is our secretary, and she took very complete notes, as always. But since I'm just a blogger, I get to tell this story! "The native Paradise tree is more useful than Google, and easy to grow." 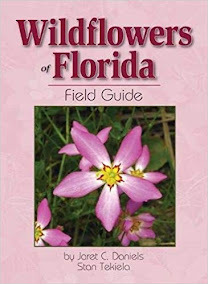 And how could any blogger resist leading off with this intriguing quote from the Key West Garden Club? I am a Master Gardener and a Master Naturalist, but I only know so much; so I always check out statistics from experts before posting information about plants. I have a beautiful Paradise tree in my yard, it came from the raffle table at my chapter's program night about six years ago. For the first six years the little tree had a perfect, closed, cone shape; but just this summer I was astounded one morning to walk out and notice that my tree had changed. The canopy had begun to open up, there were open spaces between the layers of branches. It seemed to happen overnight. Proving again that a garden is constantly in motion, which is one of the fascinating things about observing them. It had been 19 years since I last attended the Southeast Native Plant Conference (SNPC)in Cullowhee North Carolina, so I jumped at the chance to return as a speaker. For one, who wouldn't want to spend a few days in the Appalachians in July while the rest of the Southeast is baking in mid-90 degree temperatures? And, could there be a better place to see plants and be around plant people than this conference? 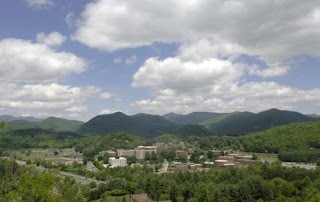 The conference in Cullowhee has a long history. 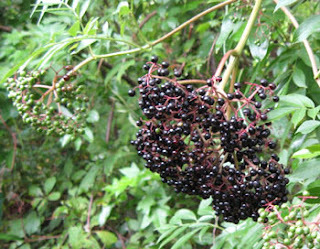 Based at the campus of Western Carolina University, it has attracted native plant enthusiasts from throughout the Southeast for more than 30 years. This year, the conference committee invited me to speak on a topic suggested by last year's attendees - Gardening with Native St. John's-worts. I came armed with potted plants I had assembled over the past months and a powerpoint based on images I have been taking for what seems like forever. Two extraordinary things happened at our Highland Lakes home. The first was the appearance of a snake. 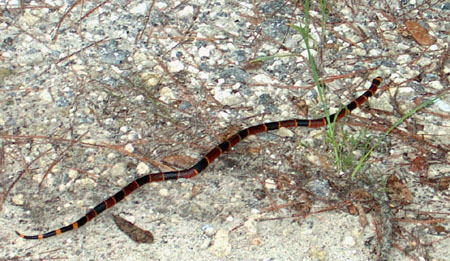 A snake in Florida is not so unusual; we’ve found quite a few in many colors and sizes over the years here. Snakes are generally benign and benevolent creatures, whose diet is any creature smaller than they are. We’ve seen them in our garage, gardens and patio. Most of the time we let them be. Occasionally we relocate them where they can live peacefully without having to encounter any lawn mowers.